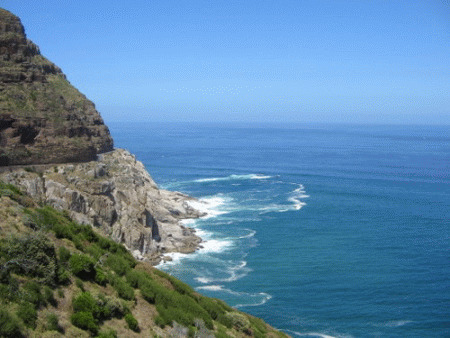 Cape Town Nature Reserves, Parks and Botanical Gardens. Cape Town Nature reserves are more often than not well-managed and is a real pleasure to visit. Do not expect many animals, but do definitely expect many bird and flower species. More than in most natural areas you are bound to visit in the world. If you serious about seeing animals and lots of them, visit one of the private nature reserves. Below is the full list of Nature Reserves and Botanical Gardens. 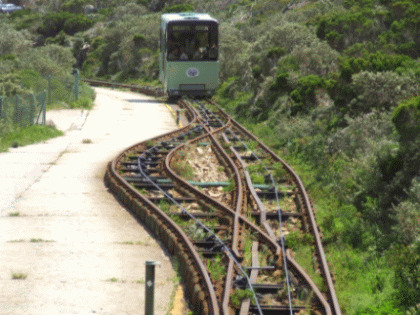 Take the Flying Dutchmen funicular up to the old lighthouse or sit down for refreshment in the Two Oceans Restaurant. Cecilia Forest is the ideal place if you want to take the whole family, including the dog for a walk. 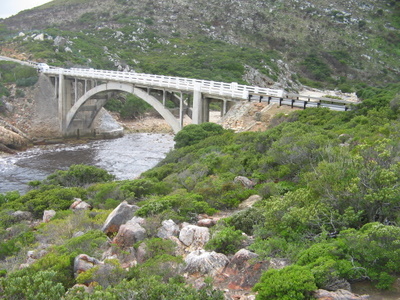 This 9km route with its 114 curves skirts starts at Hout Bay and ends at Noordhoek. 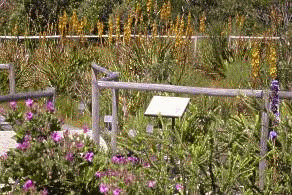 Durbanville Nature Reserve is home to both the critically endangered Swartland Shale Renosterveld and Cape Flats Sand Fynbos. 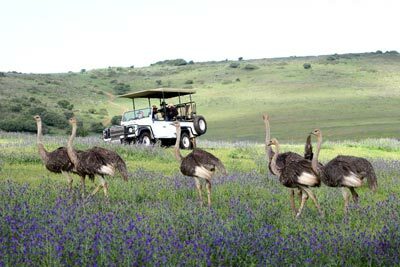 A garden of 10 ha while the remainder is managed as a natural reserve, included the Kogelberg Biosphere Reserve. The Hottentots Holland Nature Reserve is a 70 000 ha reserve in the Hottentots Holland Mountains approximately 90km from Cape Town. Intaka Island is a 16 hectare wetlands and bird sanctuary situated in the centre of Century City. 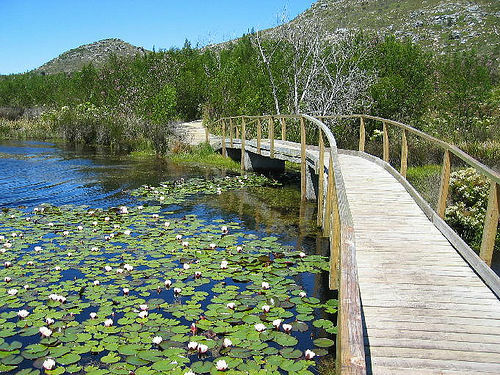 Jonkershoek Nature Reserve, which includes Assegaaibosch Nature Reserve, lies near the town of Stellenbosch. Kirstenbosch is the oldest and largest botanical garden in South Africa with 9 000 fynbos species can be viewed here. The Koeberg Nature Reserve is a private reserve of 3000 ha around the Koeberg Nuclear Power Station. 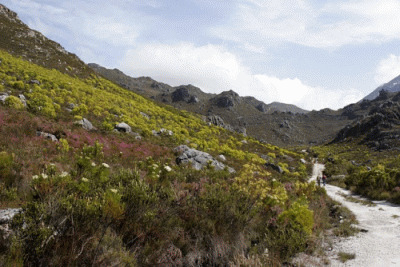 Kogelberg Nature Reserve is often considered the heart of the Cape Floral Kingdom and presents perhaps the finest example of mountain fynbos in the Western Cape. 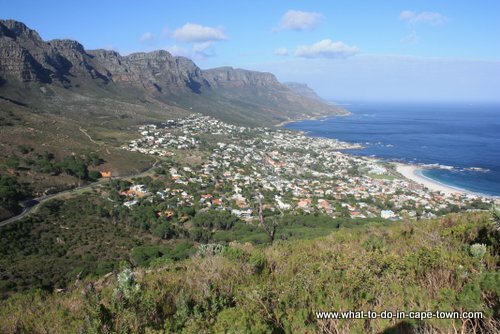 The Lion's Head walk is a beautiful walk with great views over the Cape Peninsula. Rondevlei Nature Reserve was established as a bird sanctuary in 1952. There are 237 bird species: from Ducks to Herons, Ibises, Pelicans, Weavers and many more. 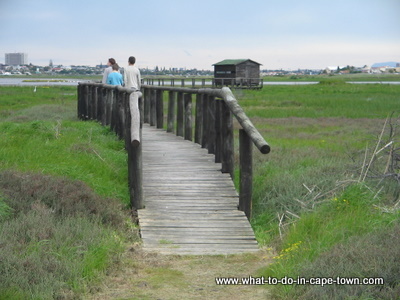 Rietvlei Nature Reserve is a large wetland situated between Milnerton and Table View. This is a birders’ paradise, especially in spring and summer when migrant birds arrive from the northern hemisphere. Silvermine Nature Reserve forms part of the Table Mountain National Park in Cape Town. 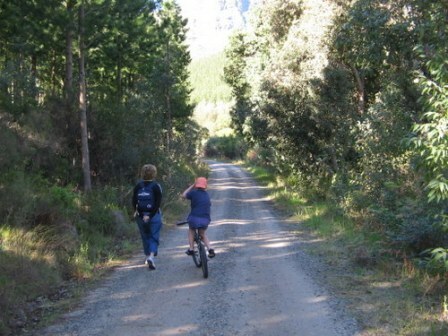 Attractions within the reserve range from popular and well marked mountain bike trails, to bird watching and hiking. 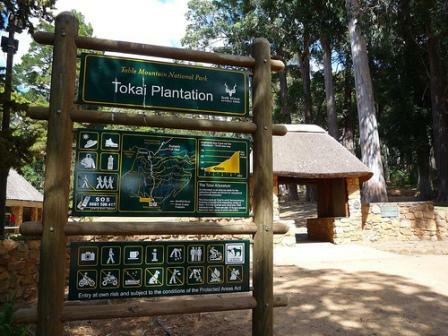 The Tokai Forest Arboretum is situated on the slopes of Constantiaberg and allows for more than 150 tree species, including pine, oak, eucalyptus and Californian coast redwoods, to be seen. Tygerberg Nature Reserve is a small reserve boasting 460 different plant species, 50 different mammals and 125 bird species. It also offers a spectacular view of Cape Town! The US Botanical Garden focusses mainly on miniature plants such as succulents, herbs, dwarf shrubs, bonsai and pot plants. 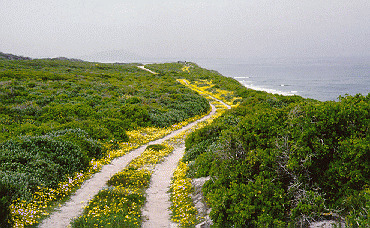 The West Coast National Park surrounds the Langebaan Lagoon, a protected wetland, which is home to many migrant waders. Private Cape Town Nature Reserves - Alphabetically. 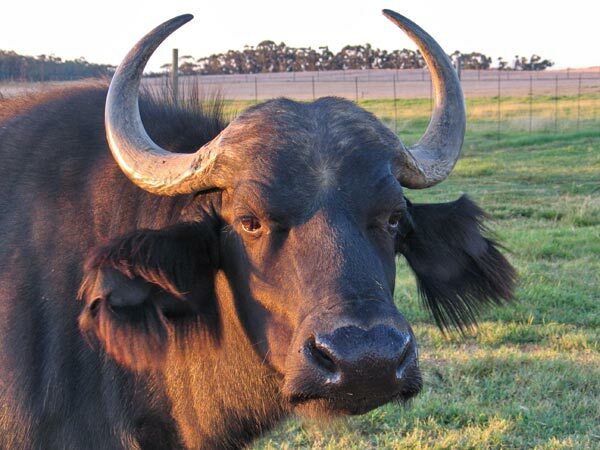 Aquila Private Game Reserve has gone to great lengths to source and re-introduce wildlife into the Cape region and offers visitors an opportunity to experience a Big 5 safari. Bartholomeus Klip is a Victorian farmstead on a large wheat and sheep farm with its own 10 000 acre private nature reserve. 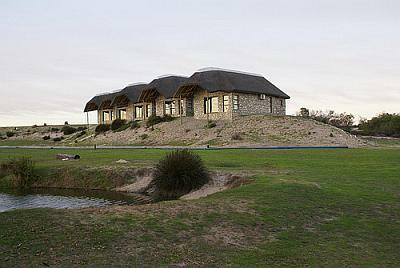 Buffelsfontein Game & Nature Reserve is a private game reserve situated on the R27 in the heart of the Cape West Coast. 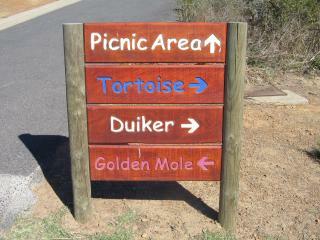 Clara Anna Fontein is a private game reserve and country lodge situated on the < a>. Kagga Kamma is situated in the peaceful southern Cederberg Mountains. The location of the lodge was once home to the Bushmen and today many of their ancient cave paintings are still clearly visible on the rocks. Return from Cape Town Nature page to Homepage.